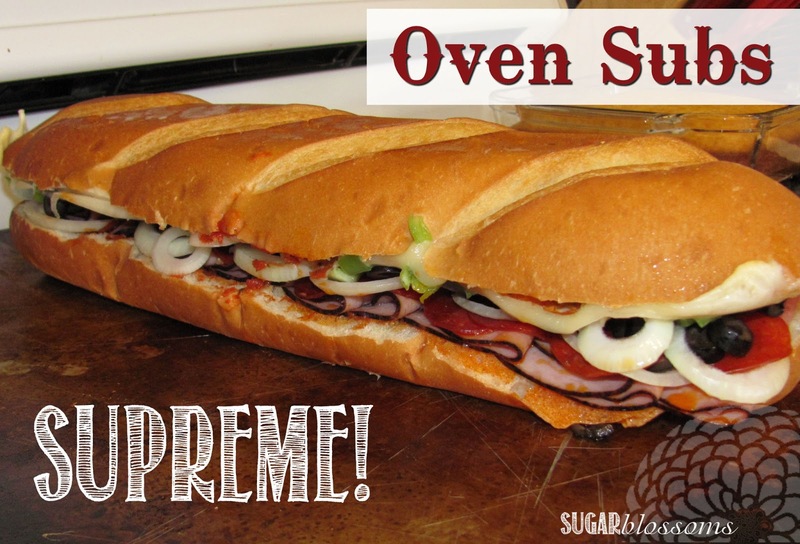 Sweet Sugar Blossoms: Oven Subs Variation: Supreme! Start with 1 loaf of French bread. Spread pizza sauce on both sides . 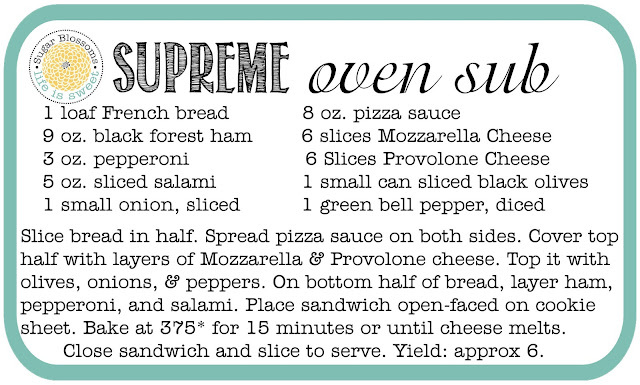 Put 6 slices of provolone cheese on the top half. Layer 6 slices of mozzarella cheese onto provolone. Cover bottom half of bread with Black Forest Ham. Layer ham with salami and pepperoni. Add diced bell peppers onto cheeses. Next, add sliced black olives. Top it off with a layer of sliced onions. and bake at 375* for 15 minutes or until cheese melts. Remove from oven and let cool slightly (2-3 minutes). Which oven sub is your family's favorite?